Great classes, lectures, demos, lessons and events offered at Paramount in Eugene or Salem, Oregon. 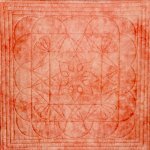 Sign up for free quilt block pieces! This is a three part event on three different times. All are welcome to attend and as always learn something new. Seating is limited so claim yours today! Register now to work on your projects. Join us once a month for a fun project using your Accuquilt Go! cutting system. A monthly class focusing on fit and garment construction skills. Are you looking for new ideas to embroider? Do you love creating cute, quick projects? Then come join the Kimberbell Club at Paramount. Projects vary in seasons and cuteness, but always small enough to use your 5X7 hoop. An opportunity to work on the Sisterhood Retreat projects. Embroidery project of your choice with hands-on help. Get those unfinished projects done! Turn a jelly roll, some batting and thread into a one of a kind rug. Use the basic Westalee ruler and foot to design and stitch a small wall hanging on your sewing machine. Use the mini QCR ruler to create either an accent quilt or a baby quilt. 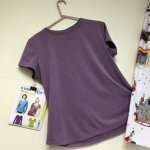 Make a basic t-shirt using your sewing machine or serger. Another Sew Kind of Wonderful pattern. Develop a library of block designs using the Westalee Arc Ruler and ruler foot. Continuing the adventure with ruler with additional rulers and patterns. Opportunity to work on the current blocks in the Fleur de Lis embroidered quilt. A new two-day event with a sewing and garden theme! This event features Kimberbell Blanks: polka dot tea towel, buffalo check tote, and rectangle pillow form, plus darling scissors and tape measure. You will learn new techniques like over-the-edge appliqu? and more! It?s a cheery celebration, sewing with friends, and Kimberbell. Join us each month for a different, exciting software demonstration! We will also offer a lesson on Version 8 after the demo. A quarterly lesson program for Bernina DesignWorks software. This year-long club meets 10 times a year with different projects and techniques demonstrated in a social atmosphere. Join us for the 2019 Hoopsisters Block- of-the-Month quilt. Explore the many wonderful sewing features of these Bernina machines. 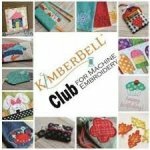 Explore your fabulous serger in this bi-monthly club. Come and learn about your Bernina 4NG, 5NG, 7- or 8-series machine. This is the second sewing class on these Bernina machines. This is the third class in the series and covers embroidery techniques. This fourth class in the series covers more advanced embroidery techniques. Learn some of the exclusive features of your Brother sewing machine. An introduction to your new Viking Epic/Pfaff Icon sewing & embroidery machines!